I combine contemporary with historical samples to understand global change-related variation in genetic diversity across the last ~200 years. I am also a trained molecular biologist, plant-, book- and language-enthusiast and believe in science communication. Both my Masters and PhD work focused on the molecular characterization of plant proteins in different developmental contexts, the former in epidermal patterning (with Markus Grebe), the latter in miRNA biogenesis and function (with Detlef Weigel). This formed me as a wetlab biologist, and led to the description of one gene’s role in root-hair patterning, as well as of three new miRNA-related factors (publications). Now, I am swapping gloves with keyboard, and genetics & developmental biology with evolution & population biology as a Postdoc with Hernán Burbano. 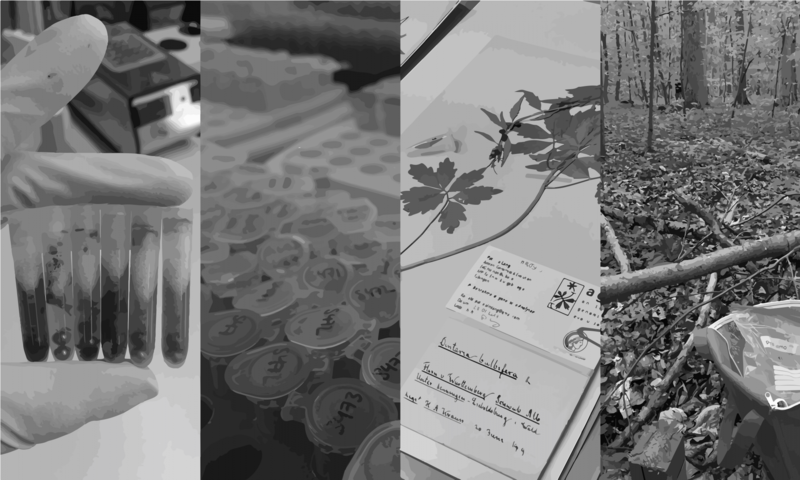 I work both in lab and in silico with modern and ancient DNA, gained from samples that I collected in forests and herbaria, all the way from extractions to sequence analysis. More on my current project and broader interests here.